Ross and Carrie invite Beth Appel to share the secrets of Judeo-Fitness, her spiritual fitness program based on the ancient teachings of the Torah, and the divine inspiration granted to her through holy fasting and rigorous exercise. After a few months in Beth's program, Ross and Carrie have transformed their bodies, minds, and attitudes. Join us for an episode that surprised us as much as it will surprise you! And see the pics by liking us on Facebook at facebook.com/onrac! Tagged with Judaism, fitness, Torah, fasting, Beth Appel UCB. 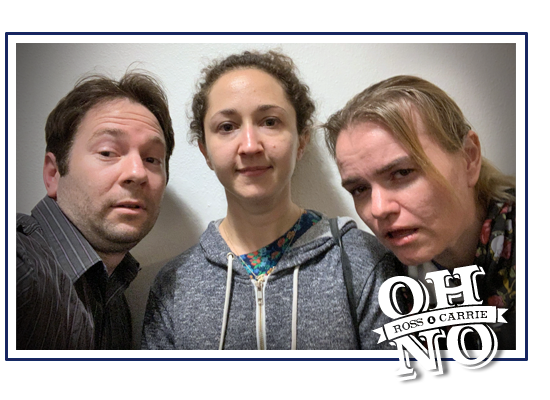 April 1, 2019 by Oh No Ross and Carrie.